The Southern Anterior Cervical Fusion Finned Cage (SPICCA-F) comprises of a PEEK body, an extended titanium alloy fin and a posterior titanium alloy imaging marker. 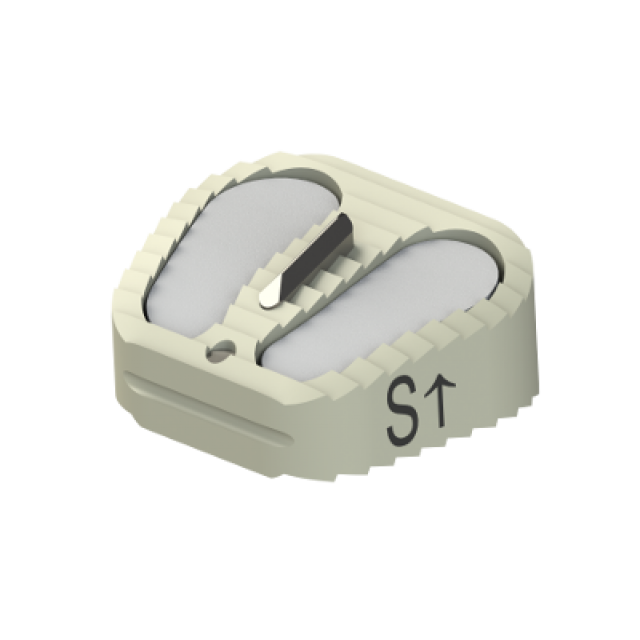 It is provided with two cavities for bone inserts or bone graft, and is indicated for use with the Southern AXIS™ Cervical Plate system. 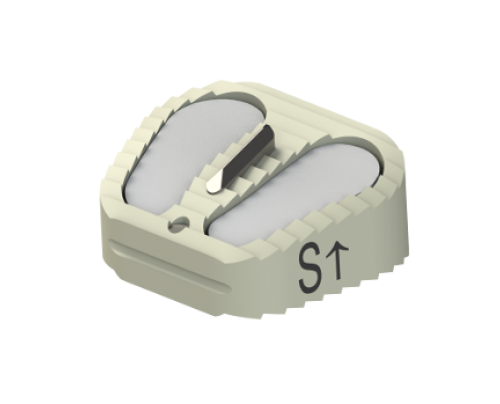 The SPICCA-F cage is anatomically-shaped to fit the cervical disc space optimally, with two footprint sizes and multiple heights to restore disc height. A central extended titanium fin and serrated profile prevent the device from being displaced between the vertebrae. Two windows accommodate bone graft or synthetic bone, improving osseointegration with the vertebral endplates.